The branded Lindt Bunny 10 gram Pillow Pack is a quality product for your quality customers. The Lindt Bunny 10 gram Pillow Pack is a sweet little gift for your customers to make them feel special. Elevate the Lindt experience by gifting these famous chocolates as bunnies. A cute and delicious gift product, the custom Lindt Bunny 10 gram Pillow Pack will surely make your name spread like wildfire and your brand will be the talk of the town. Employ this promotional product as your advertising tool and maximise your brand’s image and exposure. Each pillow pack contains one 10gram gold Lindt bunny chocolate. To exude more class deserving of the Lindt brand, the bunny is enveloped in a gold foil wrapper which snugs tightly to follow the bunny shape. The pillow pack which has a dimension of 85mm (w) x 60mm (h) x 29mm (thickness) is transparent, allowing the golden bunny to clearly display itself. The custom Lindt Bunny 10 gram Pillow Pack does look too good to eat, but it’s always a fact that no one can resist the deliciously rich taste of Lindt. When you gift this product at your events, we suggest you personalise it with your brand. 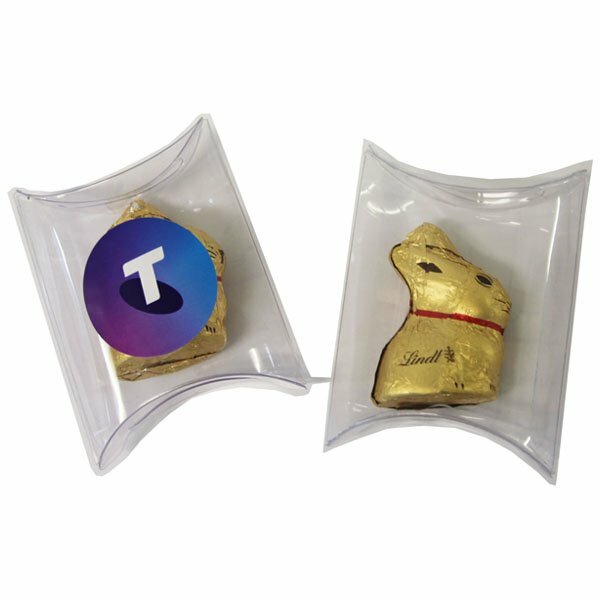 The delicious promotional Lindt Bunny 10 gram Pillow Pack can host a printed graphic on its 50mm (w) x 40mm (h) sticker tag that will be placed right in front of the pack. That’s a clever way to get your brand more known and get you new contacts for your expanding business. Our Lindt chocolates also come in other presentation schemes. You might want to check them out to get more neat ideas on how you can promote your business using Lindt. 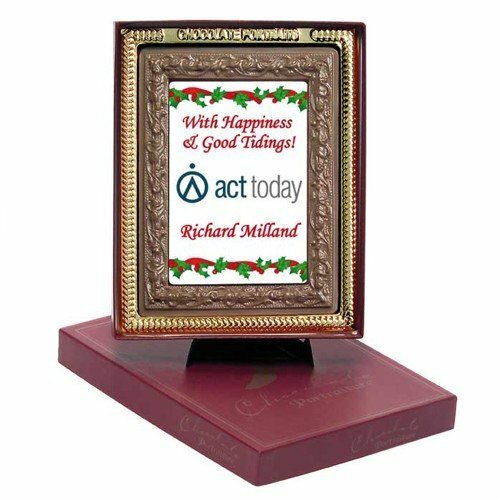 Check out the promotional Signature Chocolate Square and the personalised Signature Chocolate Business Card for some cool examples. Greet Easter with our custom Lindt Bunny 10 gram Pillow Pack. This treat good for the entire family is a great addition to your parties. For your outdoor and evening events, check out the Luminescent Safety Hat and our other promotional hats and headwear! Drop us a line if you wish to speak with one of our sales associates. You can give us a call by dialling 1300 008 300. Or you can also make use of our live chat application on this website.